In the midst of exuberant nature, and on the edge of Dorita Bay in Chilean Patagonia, emerges Puyuhuapi Lodge & Spa, where there is a perfect equilibrium of sophisticated and deliberate simplicity. Everything you need for that dreamed disconnection is here, giving visitors the opportunity to take a different excursion every day. 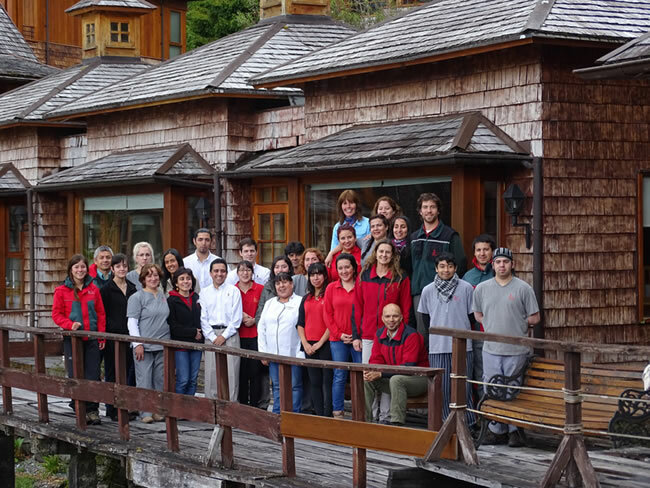 Puyuhuapi Lodge & Spa is a beautiful ecolodge integrated with the surrounding scenery, reminiscent of the architecture of the island of Chiloé with elements of wood, stone, and tiles. All of the enclosures of the building face the coast with the aim of making the most of the beautiful view offered by the bay. The warm and simple décor invites you to enjoy your stay in a setting favored by nature. Puyuhuapi Lodge & Spa is the place from which you can enjoy a variety of activities: explore the lush temperate rainforest, journey along the Carretera Austral, discover the Queulat National Park, sail between Patagonian islands and fjords, enjoy thermal waters, relax with thalassotherapy treatments or massages in the spa, and delight yourself with the delicate gastronomy and fine selection of Chilean wines. 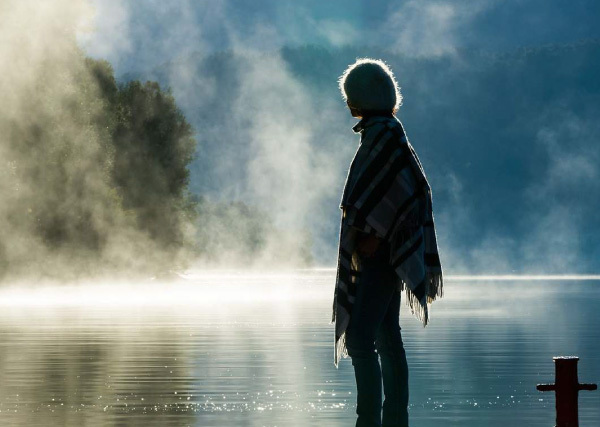 Our mission is to welcome all travellers that seek a connection with Patagonia, offering them a wide range of excursions and activities immersed in nature that are developed with respect for the environment. We also pursue the relaxation and rest provided by the thermal waters and our therapies. In this way, each guest is able to discover his own Secret South of Silence. The fulfillment of this objectives allows us to be recognized by travellers and achieve better working conditions for our staff. We commit to provide a creative and efficient service in a friendly and homely atmosphere. Therefore, we generate the sufficient and necessary space for verbal communication. Indeed, we chosed not to have TV or cellular signal. Internet is available in one terminal, only if very necessary. We have telephone for national and international calls. Puyuhuapi Lodge & Spa upholds a high standard that focuses on understanding the natural and pristine environment, along with the delivery of quality that is affective and effective in all services offered to our visitors: ensuring that the expeditions are based on learning without excessive strain, that the food is based on a varied diet and with understanding of Chilean Patagonia, that the relaxation service in our exclusive spa guarantees our guests a sensation of peace and wellbeing, and finally, that the break is truly refreshing. In order to fulfill these goals, disconnection from daily routine and the dedicated service offered by each of the members of our staff are required. It was businessman Eberhard Kossmann, president of the shipyard Astilleros Asenav in Valdivia who, captured by the magic scenery of Bahía Dorita, wanted to create a place that would combine modernity and comfort within the wildness of Chilean Patagonia. In 1986, while he was sailing south of Puerto Montt with his family through the fjords, Eberhard passed through for the first time, finding it an ideal harbor in which to anchor and stock up with supplies of fresh water. At this time, there was only one modest lodging house that received very few visitors, which had been built by pioneer Ernesto Hein from Coyhaique. In this period, the lodging house was property of a creditor bank, from which it had been handed over to some Canadian businessmen who attracted North American tourists to go fly-fishing in the mountain lakes, travelling only by seaplane. 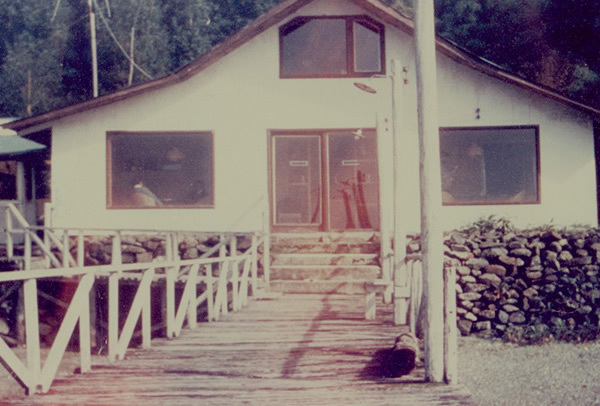 The business visionary was struck by the beauty of the place, where Termas de Puyuhuapi (Puyuhuapi Hot Springs) were located, for its magnetism and its protected bay. Three years later, on a subsequent journey, he was unexpectedly presented with an offer to buy the property. 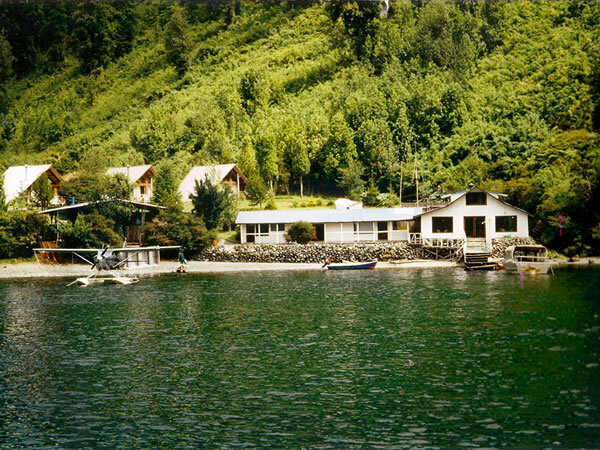 The extraordinary geographic location of Bahía Dorita seduced him: protected, in a beautiful southern fjord, with an awesome view of the mountain range and virgin forest of Chilean Patagonia, and enriched by the presence of thermal springs. Without any previous experience in the area of tourism, he was far from daunted by the isolation, the climate and the building complexities, and instead considered that these conditions constituted a personal challenge that he would duly take on with the project of the lodging house. That is how he saw Puyuhuapi Lodge & Spa: as a cozy and quality ecolodge that allows visitors to enjoy the thermal outdoor pools, as well as another covered pool at sea level. It started with the premise that nothing of this sort existed in the rest of the world and that the isolation of this southern region represented a unique opportunity for disconnection from urban routine, and a connection with nature in its original state. It is an opportunity to be relished and enjoyed.